The Doral Hotel Association is striving to promote the relationships among the hoteliers, business owners and local government in the City of Doral. We want to educate our members through workshops and seminars give them the opportunity to enhance the hotel industry in Doral. DHA is committed to the growth within the hotel industry. You will benefit from an increased awareness of the hospitality industry in the City of Doral and surrounding areas, a collective voice in local government issues, and continuing interaction with industry and community leaders. The Doral Chamber of Commerce is a 501 (c)(6) non-profit, community professional service organization, founded in January 2008 by Manny Sarmiento and Carmen Lopez. The Chamber’s focus since its founding has always been to educate its members with seminars, workshops, networking and other educational events. The results have been amazing! The Doral Chamber of Commerce was created to meet the needs of a thriving business community of small to medium sized companies in Doral and surrounding areas that needed assistance and support in growing their business. After examining our member’s needs and the current economic environment, we have found that the new “e-World”, Internet communities, online social relationships and education via the web are the “new” and best ways to market your business. We provide our members and the business community in general, with networking and educational opportunities in traditional learning and online environments that together enhance the operational, marketing, and business development skills needed for success in today’s business world. The annual PowerBusiness Expo & Conference is our signature event that brings together every year over 200 exhibitors to network, do business with each other, and learn best practices in our workshops and seminars. It is the largest B2B expo in the area, and attracts over 1000 participants from the general public. In 2017, we are expanding our reach to include a veteran’s Resource fair, that will provide job search, business creation support, and informational workshops to veterans, military families and other job seekers, to help create opportunities for our heroes and their families in our community. 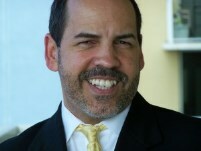 The Doral Chamber of Commerce and its members are taking you to the “New World” of Social Media and Internet Marketing. We offer a variety of membership levels to fit businesses of all sizes and needs, each with an attractive portfolio of benefits to help your business thrive. Join us today! Manny has created and implemented Entrepreneurship and Business Education programs that help develop the skills of business owners and executives. He teaches Business and Marketing skills to entrepreneurs to help create prosperity in their business and in their lives. He has been teaching Web Optimization, Search Engine Optimization (SEO), Social Media, Marketing, WordPress and other marketing and business skills since 2007, and has operated businesses in Doral, Florida, since 2005, with great success and dedication to helping others. 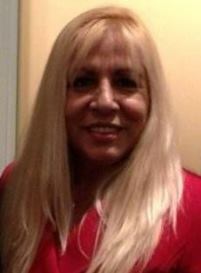 Carmen Lopez is Vice President and Co-Founder of the Doral Chamber of Commerce. She oversees the day-to-day financial, event coordination, and management operations of the Chamber. She is also Vice President of New Media, New Marketing, Inc., a Global Internet and Social Media Marketing consulting, outsourcing and education company, since 2009. NMX2 is a marketing firm that specializes on Internet and Social Media Marketing consulting, outsourcing and education. It is the only Internet marketing company in South Florida with practical educational programs, including the Social Media University, outsourcing education and Social Media Certification. Carmen’s prior professional experience includes Accounts Payable and Marketing positions at Royal Caribbean Cruise Lines, Assistant Controller at Apollo Ship Chandlers, and Administrative Assistant at World Premium Finance. She holds an Associate Accounting Certificate from Miami Dade College, and a Bachelor of Arts degree in Accounting from the Instituto de Economia of Havana, Cuba.